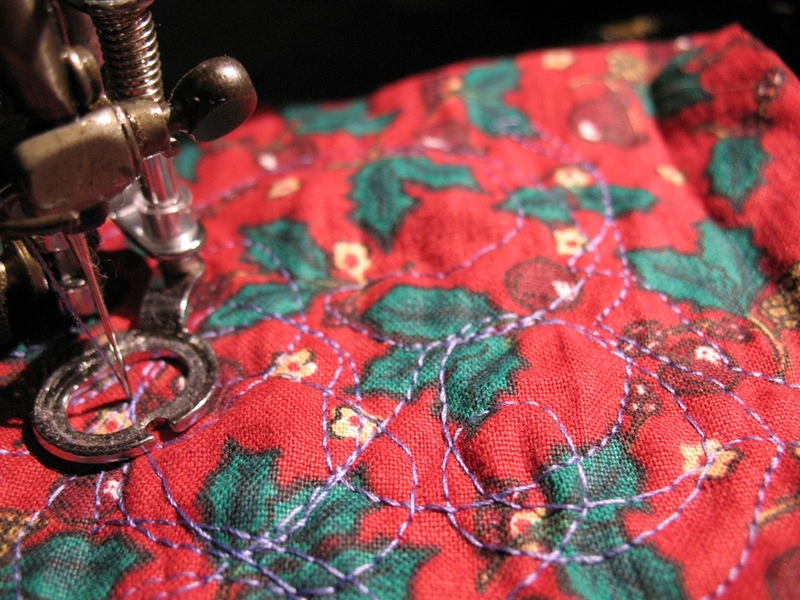 In Stitches Sewing – Vintage sewing machine repairs and sales. 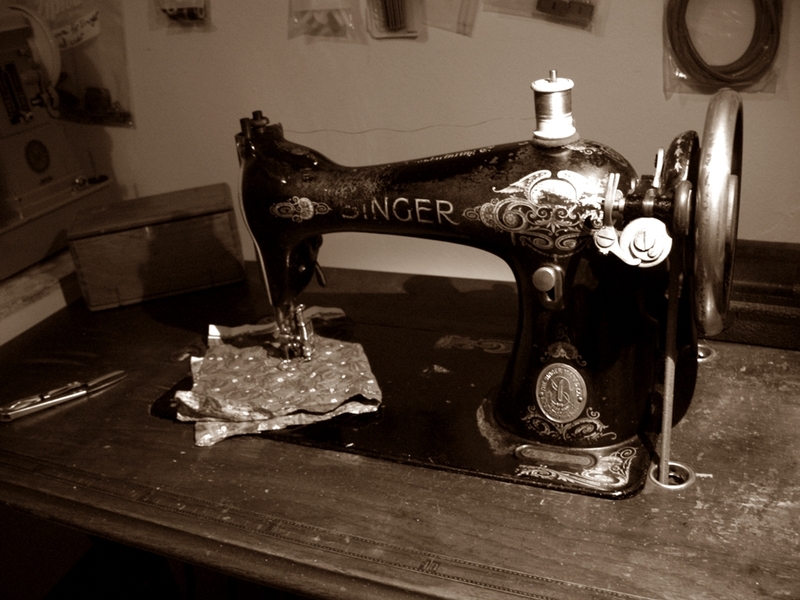 Marie Louise was a French seamstress who worked for LaFleche Tailors, a company that was established here in 1906, and eventually closed after 101 years of business in 2007, because of a lack of skilled tailors, and competition from Asia. 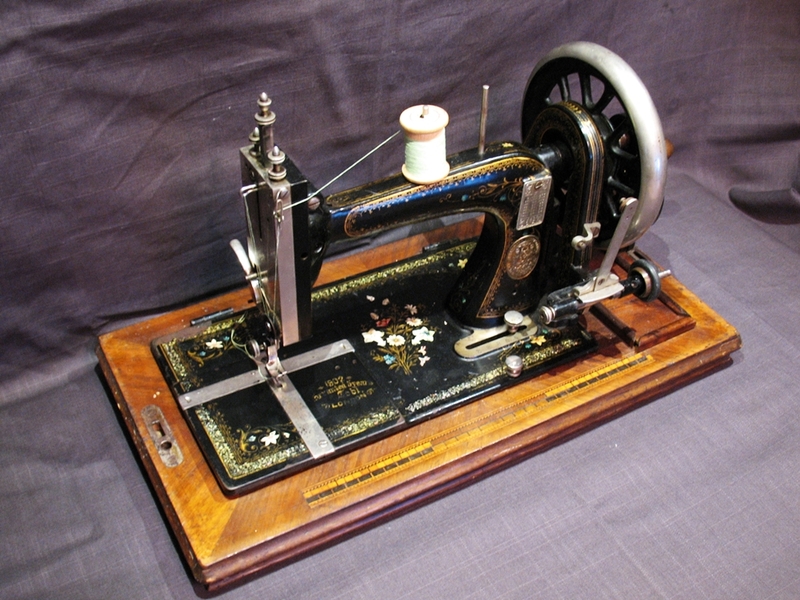 The LaFleche brothers came here from Quebec to start farming but when that did not work out it was a good thing that they had brought their sewing machines with them. They eventually became the clothier for anybody who was anybody, and their clients included Prince Charles and Prime Minister Lester B. Pearson. They also made all the uniforms for Greyhound drivers and did this until they closed up shop. Generations of Albertans went to LaFleche for their graduation suits, and one story I read was that of a local farmer who came to them every five years to get a new wedding and funeral suit. 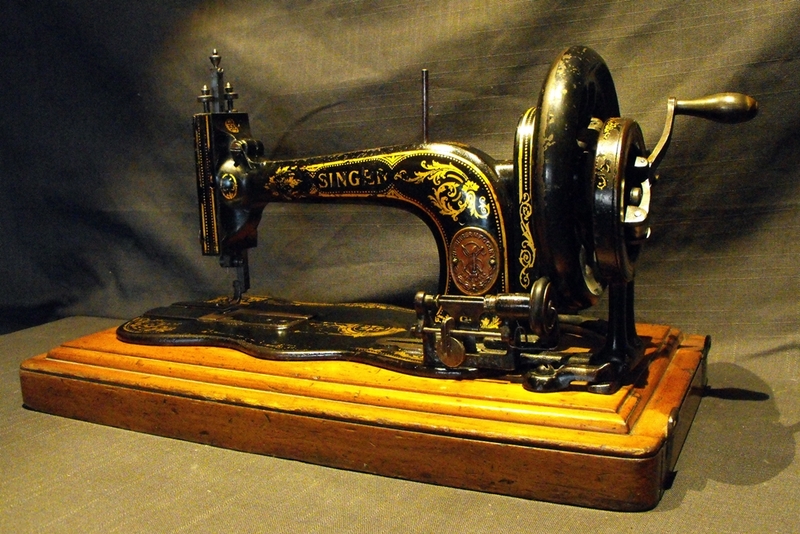 This Singer 31k20 tailor’s machine was made in 1911 and I strongly suspect it was originally owned by, and used by the original LaFleche brothers and later came into the hands of Marie Louise, either when the shop closed 12 years ago, or during a period when they would have been upgrading to more modern machines. 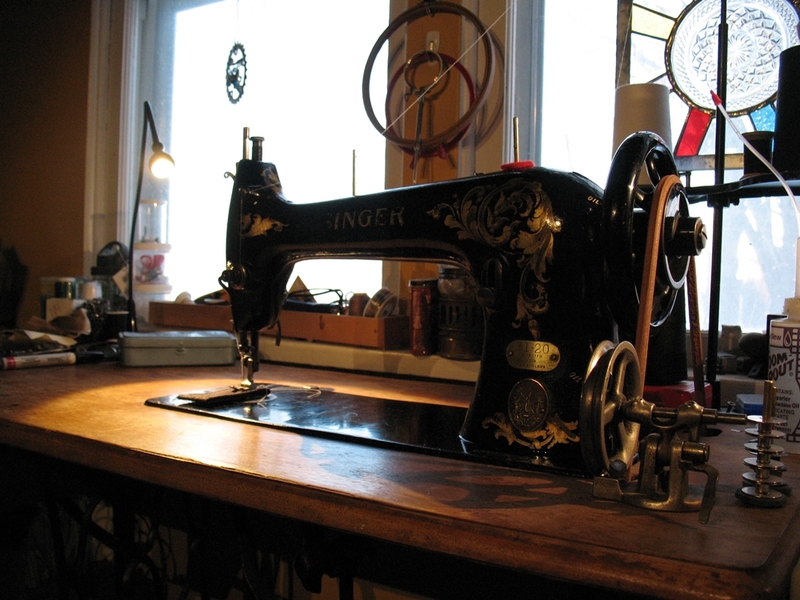 I will always wonder if this machine made a suit for a prince, or a prime minister… at 108 years old she is in wonderful condition and sews beautifully, as one would expect. 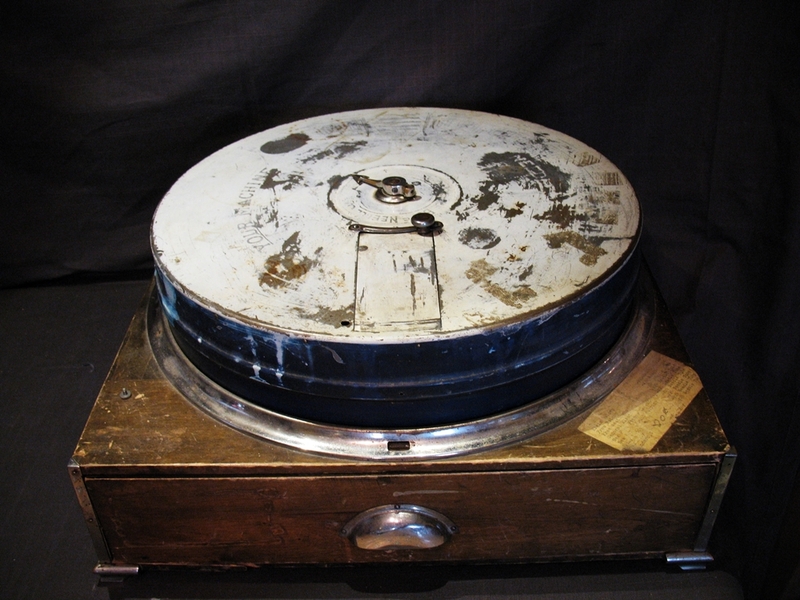 This machine will stay in our permanent collection. 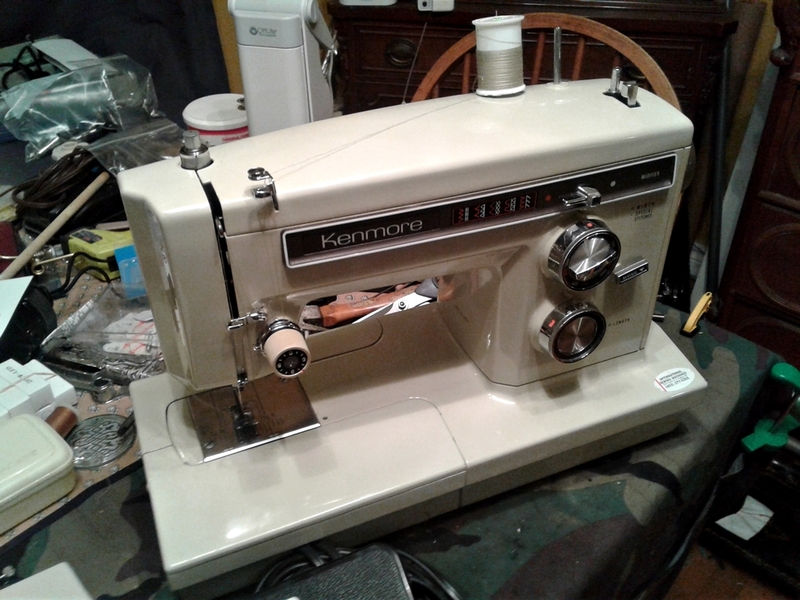 We had had a long standing love affair with Kenmore sewing machines, especially those models that were designed and sold in the early to mid 1970’s, and manufactured by Maruzen in Japan. I feel that this was the zenith of Sear’s production and although subsequent Kenmore machines are still very good, nobody will ever make a machine like this again, and if they did, it would cost many thousands of dollars to buy. Charles Harrison was the chief designer for Sears and as he was dyslexic, he wanted to design machines that required very little need for reading instruction manuals, and were more intuitive to use. 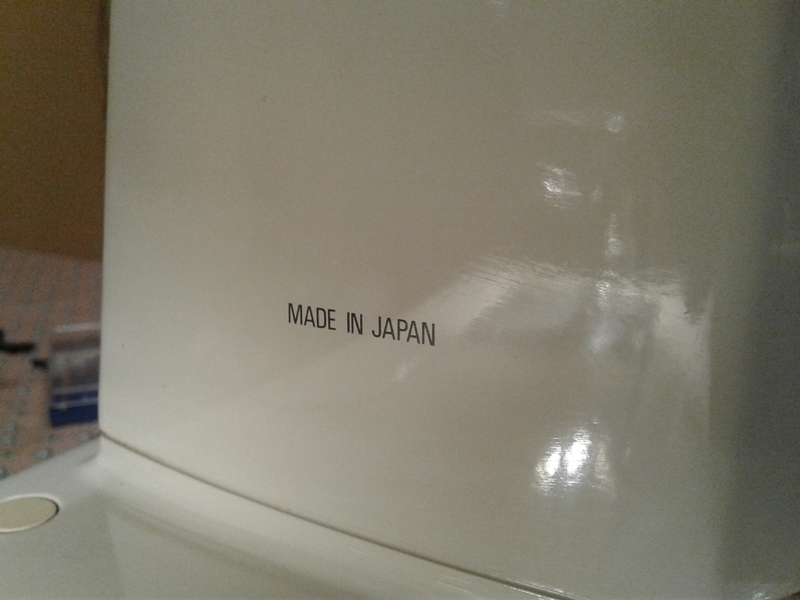 We picked up a Kenmore 158.1941 the other day and it is presently in the getting our spa treatment, the 158 denotes that it was made by Maruzen and the model and variation follows. The 1941 was an immensely successful model that was produced, and was placed just below the top models of the day, but offered nearly all the same features, and excellent performance. Consider that in 1975 this machine sold for around $250.00 and could compete against and even exceed the performance of Berninas, Pfaffs, and Elnas that cost three to four times as much. Kenmore 158.1030 – One of Harrison’s most brilliant designs. 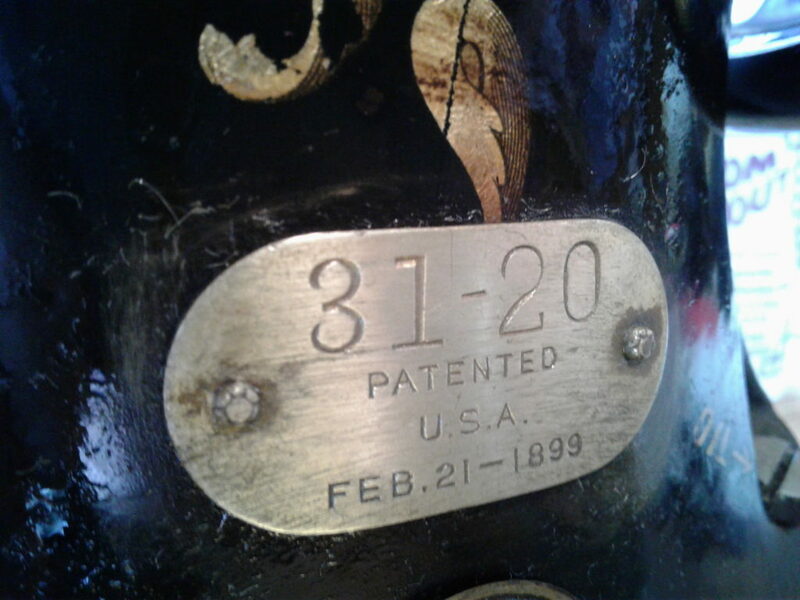 The 1030 in our collection was one of Harrison’s most famous designs and believe an example sits in the Smithsonian as an example of brilliant mechanical design and American engineering. 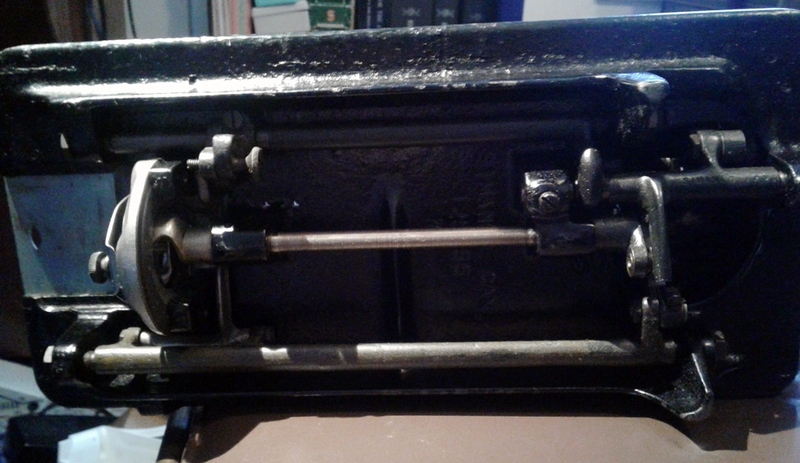 One of my longest serving machines is my 158.1931 which is a convertible free arm model, identical to the 1941 mechanically save for the added feature of being able to use pattern cams. 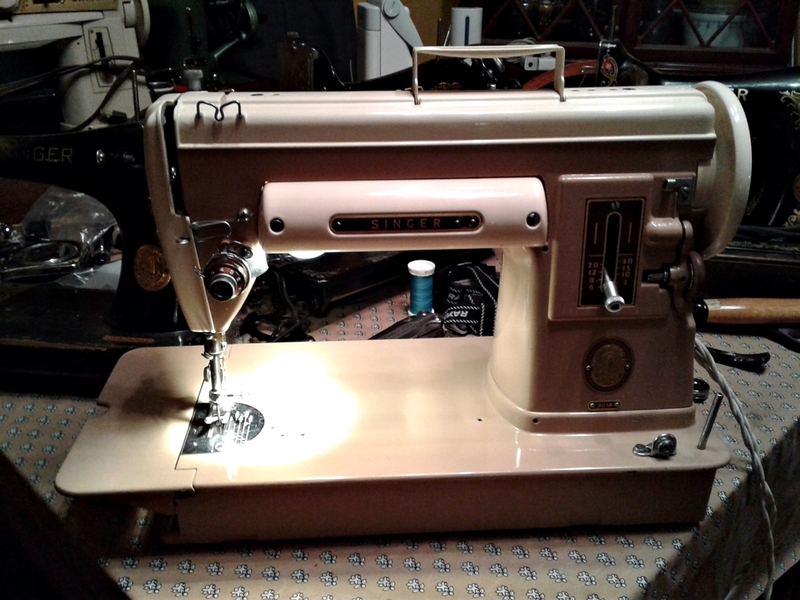 It is a flawless machine that, despite being over 40 years old, still performs like it was a new machine… and it was a well used machine when I bought it. The Singer 301… Simply Amazing. 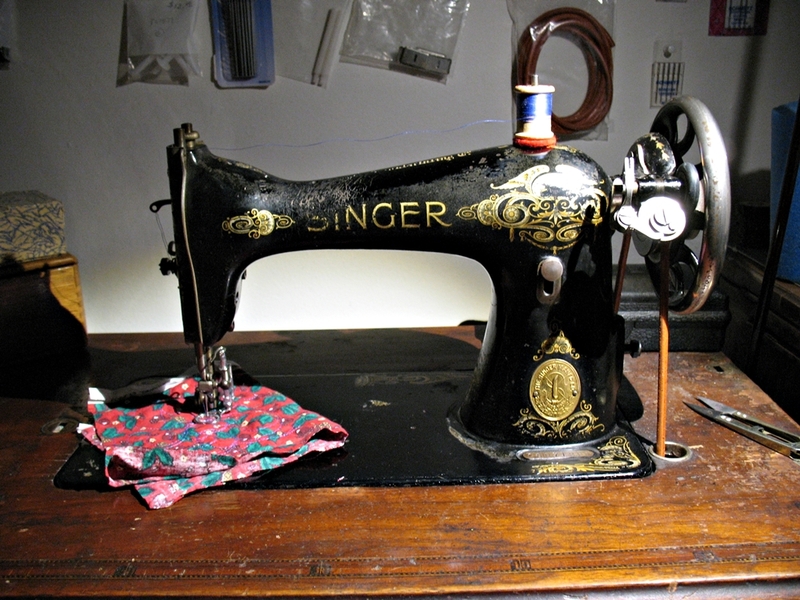 Released in Singer’s centennial year (1951), the 301 and 301A were one of the most revolutionary machines Singer ever produced, and they have developed quite the following among sewists of all kinds. 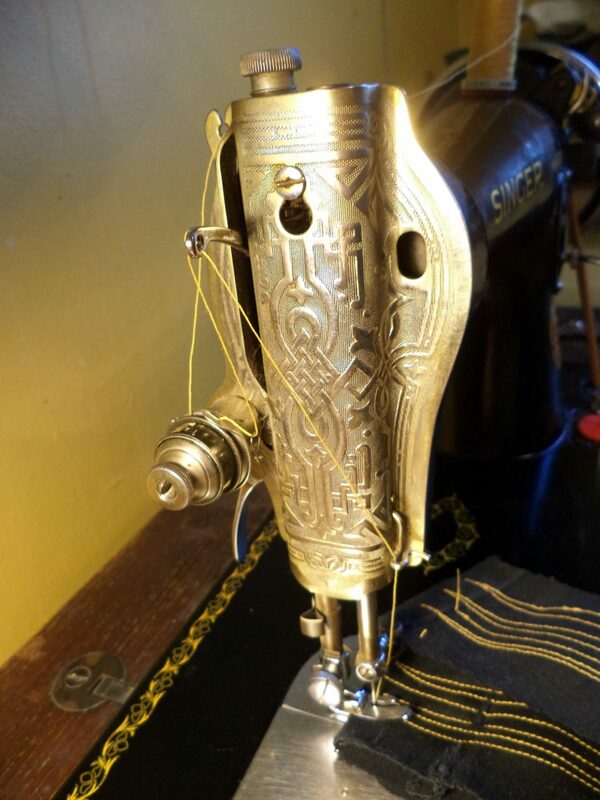 Dressmakers, quilters, and others appreciate the speed (1600 stitches a minute), perfect stitch, and power of this gear driven, rotary hook wonder… and it was the first machine to use Singer’s proprietary slant shank presser system, which brings your work forward for a better view. It is also a remarkably lightweight machine at 16 pounds, and packs up to just under 23 pounds in it’s case with it’s pedal and accessories. 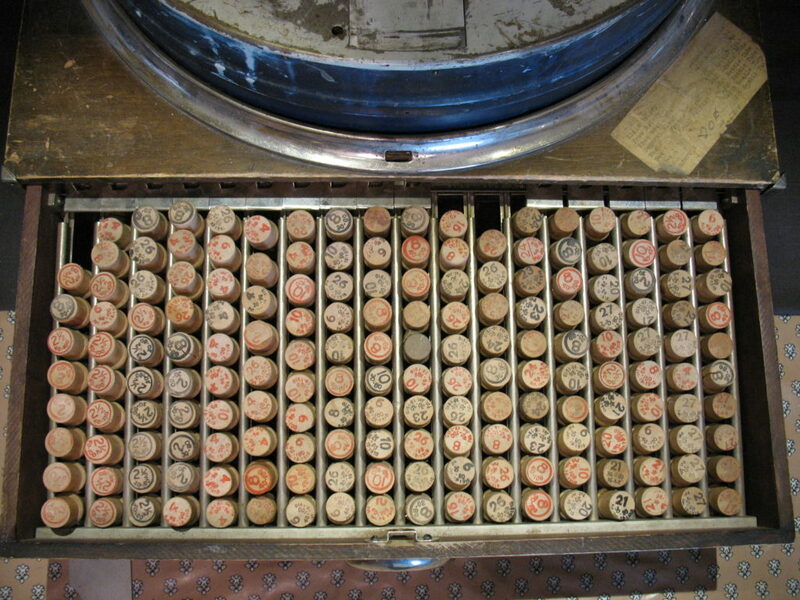 When we receive these machines in for sale, they do not last very long, and we usually have a waiting list… the rarest version is the black long bed, and they also came in a solid beige (standard and long bed versions). The LBOW only came in a standard bed version. Contact us if you are looking for a 301 and we’ll put you on our waiting list. Being a bit of a speed freak, and liking both power and speed I set about upgrading a Singer 306k yesterday with a .9 amp, 7000 rpm motor to replace the original .5 amp Singer unit. 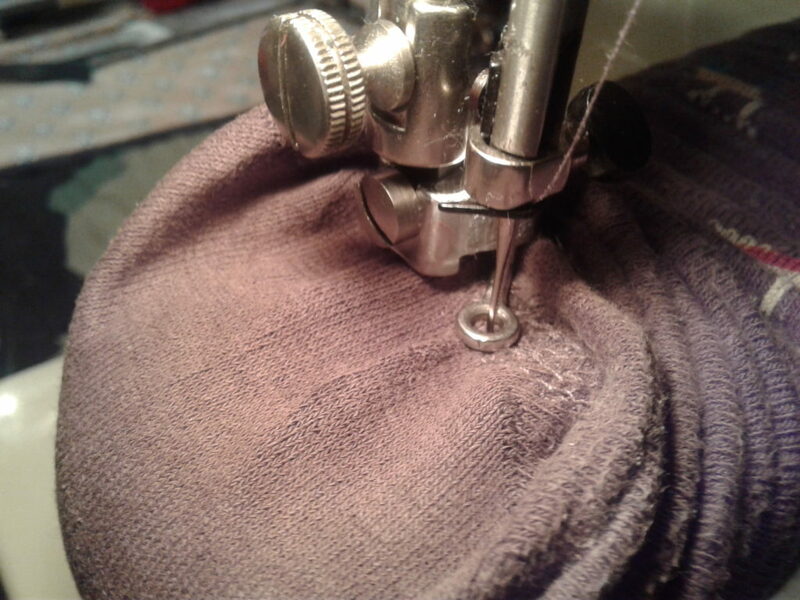 The new motor is much quieter and has an electronic pedal which gives nice control, and the 306 is such an amazing machine, with a rotary hook it could probably sew even faster with nary a ripple on the water. We carry the motor and pedal kit which fits most Singer models, price is $70.00 cdn and this will include a belt to match your machine, as the supplied belt is too short for some machines. 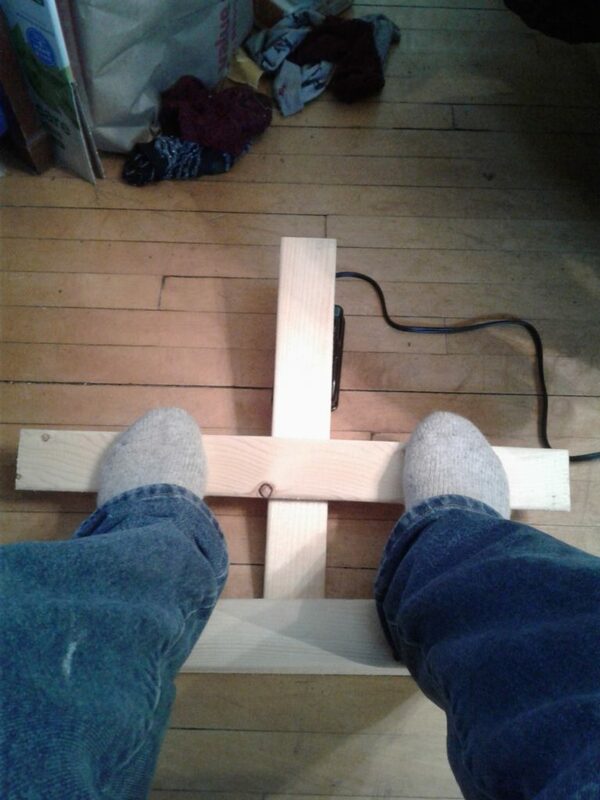 My friend has knee issues and has trouble sewing for long periods, so we are working on making up a new pedal system she can use with both feet, that won’t stress her knees / hip at all. 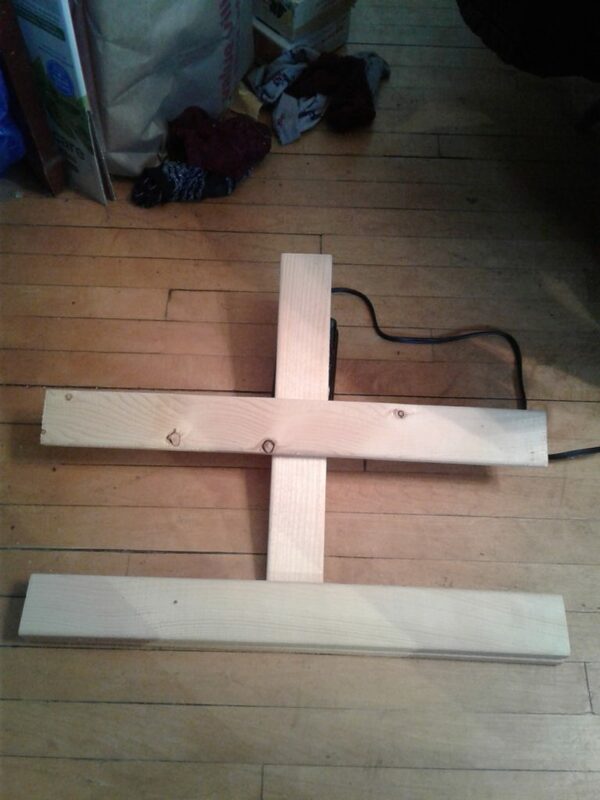 The metal pedal is great because it can be drilled and mounted to a base, and we’ll add a heel stop / riser and set the toe bar for optimum position, leverage. 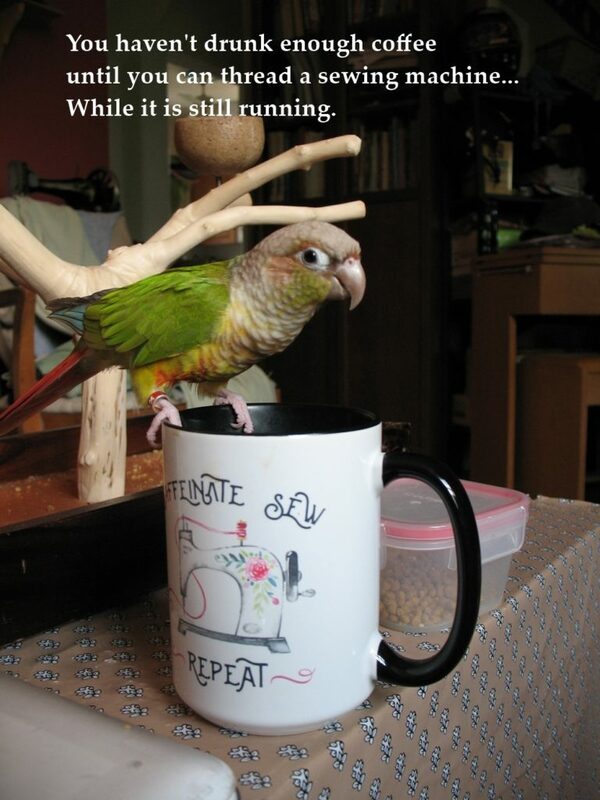 I used to work in rehabilitation… just mocking things up here. 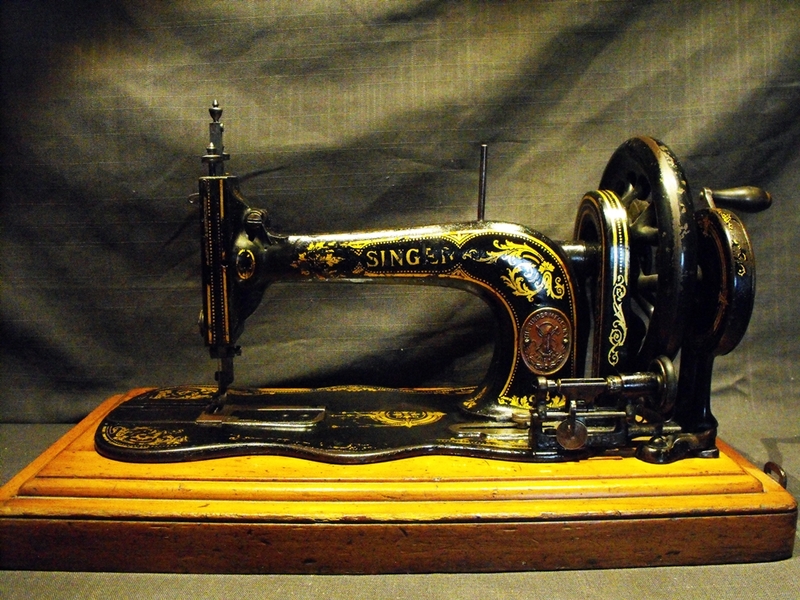 Produced between 1912 and 1923, The Singer model 115 was closely related to the Singer 15 but differed in that it used a rotary hook and industrial class 20 bobbin, system instead of the oscillating hook of the 15 and class 15 bobbin. 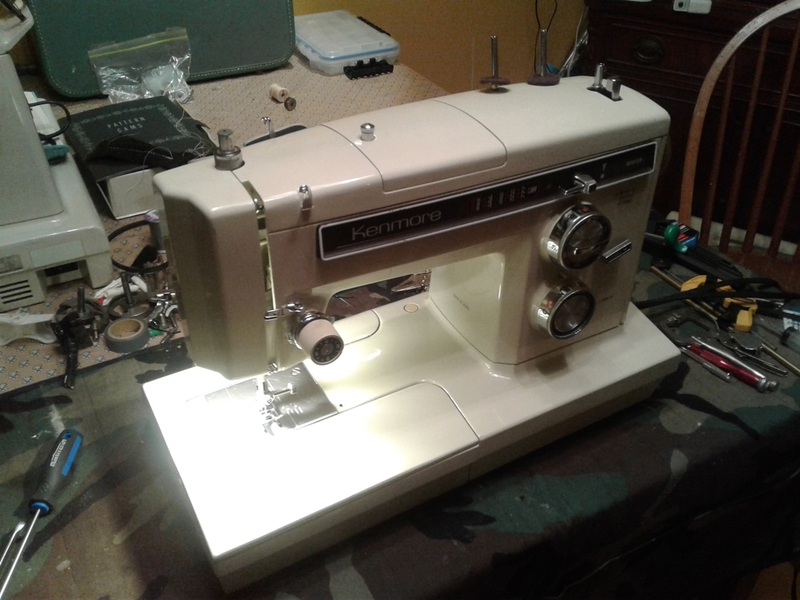 It is a straight stitch machine with no reverse, which does not really pose a problem, especially if you are quilting or doing free motion work, or thread painting. They are most often found with the “Wings” decals shown here, although they also came with a Gingerbread decal in the United States. 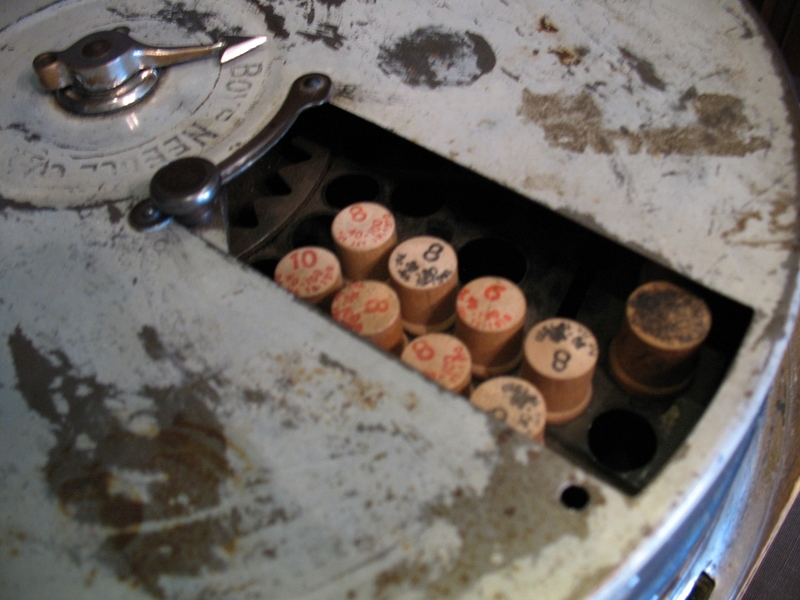 At a glance the machines look identical but upon closer inspection one will see that the 115 has three holes next to the needle plate instead of two, and when you look underneath the machines look different. 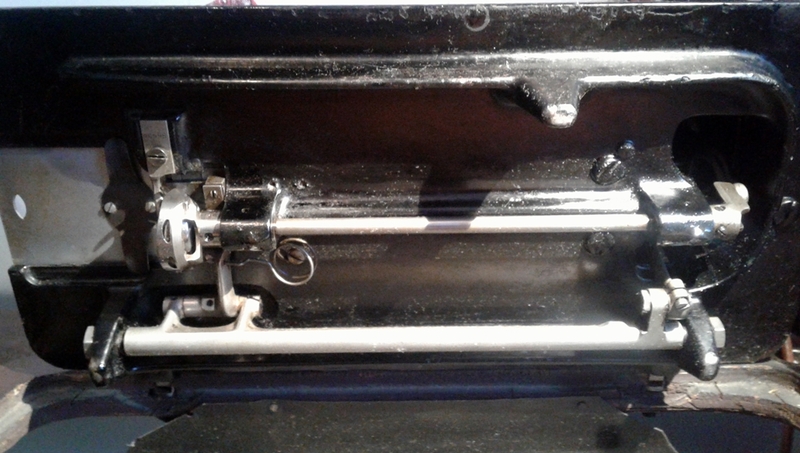 In 1906 Singer bought Wheeler and Wilson, using the proven strategy of “if you can’t beat them, buy them out” and it was from Wheeler and Wilson they acquired the proven rotary hook design of the superlative D9. 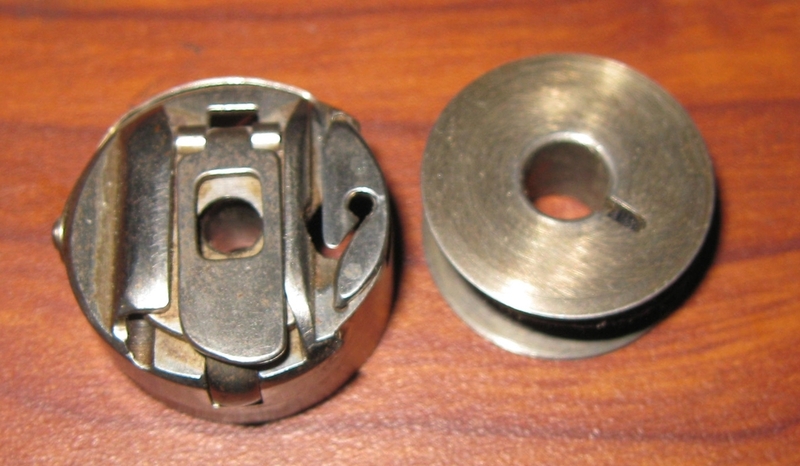 The bobbin case and bobbin from a 115, the L type bobbin has a higher capacity than a 15 and is also used in many Singer industrial machines like the 31k20 and 20U. 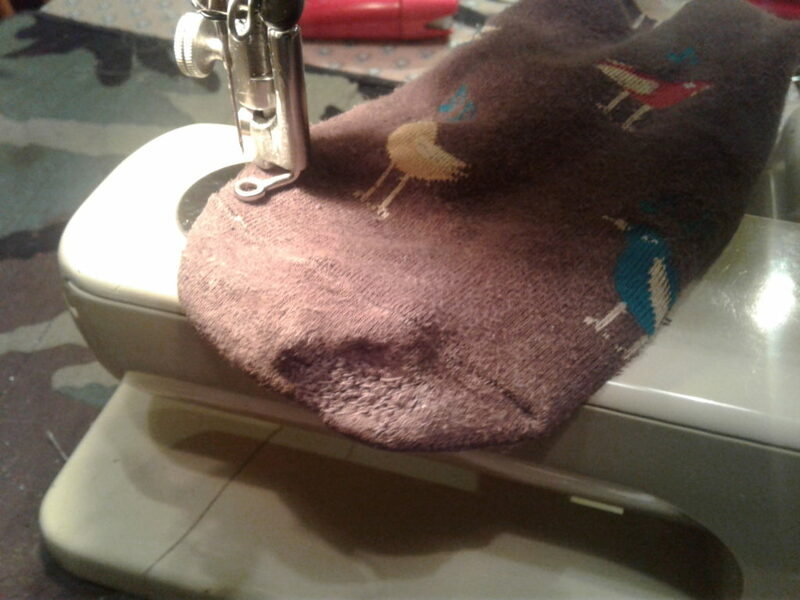 My beloved 115 is scruffy, worn, chipped, and bears the marks of nearly 100 years of use but still runs like a buttered kitten on glass and makes a perfect stitch. 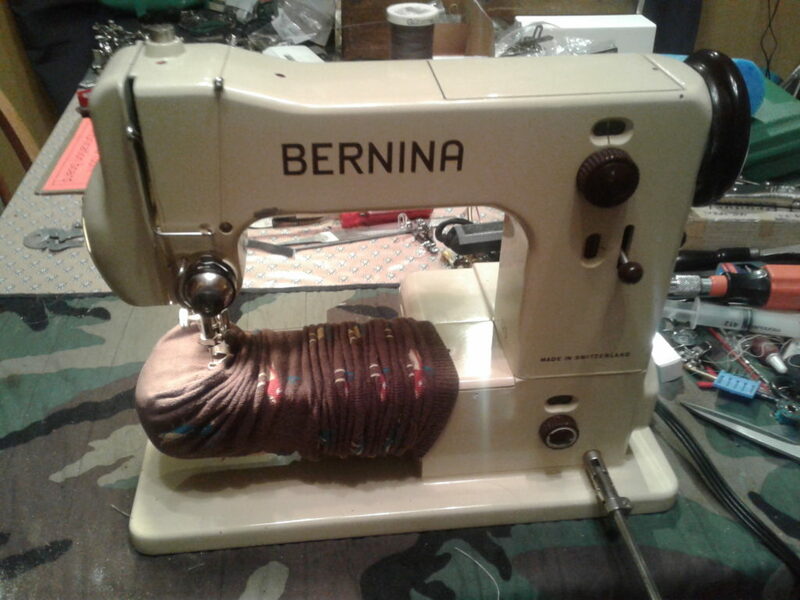 I don’t plan to change a thing save for doing a little more polishing to see if I can clean up the old clear coat, all these marks bear witness to her history and the millions of stitches she must have sewn. 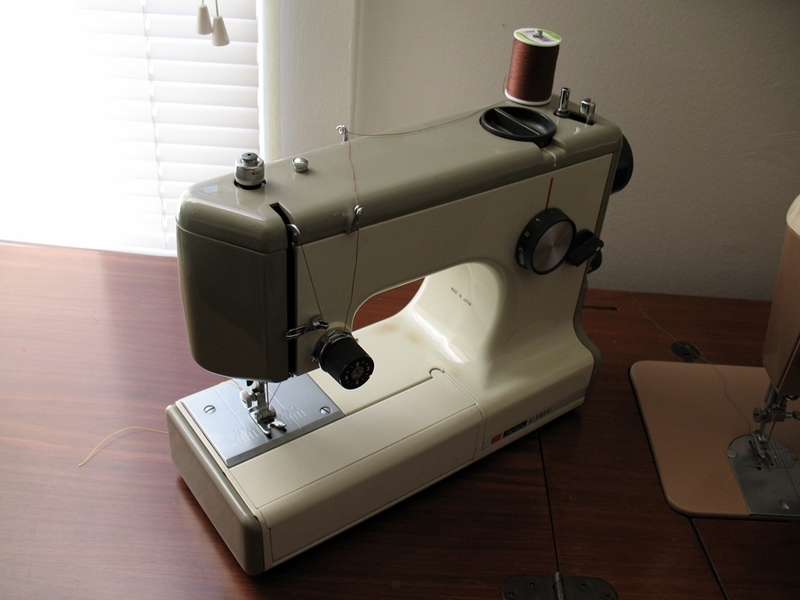 She still stitches beautifully and is a wonderful machine for free motion work.